There is something special to be said about building your own home. In addition to the dreaming, planning, and customizing that goes into the exciting and involved process, building a new home has numerous long-term benefits for its homeowners. 1. For starters, new amenities and fixtures. New homes offer updated, desired, and on-trend amenities compared to older homes; saving the buyer time and money that would go into renovations and upgrades. Additionally, amenities are not just limited to the new home; new homes in new communities, like eTown, offer parks, trails and pools for its residents. 2. Customization. Choosing what you want and where. An added benefit of purchasing a new home is that you can choose your special features, from various floor plans to the home’s exact neighborhood location. Having the advantage of time and the option to choose ensures your home is everything you desire before you move in—saving time and money. 3. Energy Efficiency. Homes today are built with energy conservation in mind. New homes consume less energy which decreases energy costs. Higher standards on insulation, air filtration, AC, and the home inspection process are also factors that increase energy efficiency in new homes, as well as potential health concerns. 4. Value. All of the aforementioned benefits of a new home combined create far more value compared to an older home. Selling a recently constructed home has more financial appeal, appraisal, and value which will warrant a faster sale and a greater return on investment, comparatively. 5. New Home Pride. The thought, time, and attention that went into home-building and design process will create a unique sense of connection and pride—your new home is all yours. Such pride translates into the love, maintenance, and care that will fill and be evident in the new home. When it comes down to it, building a new home versus buying a resale has far more financial and personal benefits. The experience is also one with far more choices and less uncertainty. Knowing the structural and building history of the home from the foundation up is an unbeatable feeling. To learn more about builders' home-designs, sign up for builders' VIP Interest Lists. Link HERE. 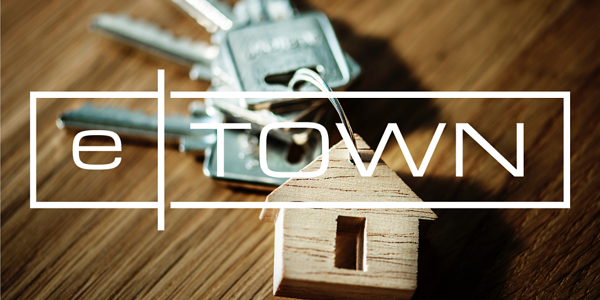 For more information on eTown, explore www.eTownJax.com.